Made from Red Oak, this AK 47 Bayonet Display Stand shows off your Bayonet perfectly from any desktop or bookshelf. 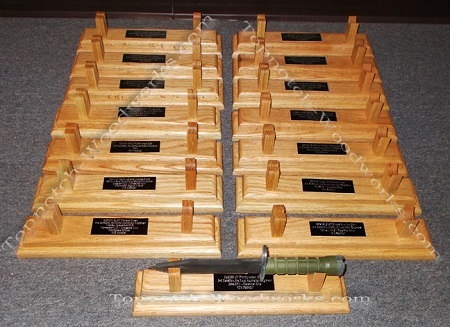 The AK 47 Bayonet Display Stand is handcrafted using solid American Red Oak hardwood. *Provides the option to attach an engraved plate, if needed.